The Nissan Titan is a serious, full-size pickup truck designed for work and play. It is available in both rear-wheel and four-wheel drive configurations, with two body styles - extended (King) Cab and Crew Cab. The Titan is offered in four trim levels: XE, SE, PRO-4X and LE. All are powered by a 317-hp 5.6-liter Endurance V8 engine, mated to a five-speed automatic transmission with Tow/Haul mode; Flexible Fuel Vehicle (FFV) capability (E85 Ethanol) is available at no additional cost. Safety features include active front head restraints, dual front airbags, anti-lock disc brakes and tire pressure monitoring; electronic stability control and side/curtain airbags are optional. Midcycle changes to the Titan include a body-color grille on XE trims, as well as the addition of heated exterior mirrors and a microfilter to PRO-4X trims with a leather package. 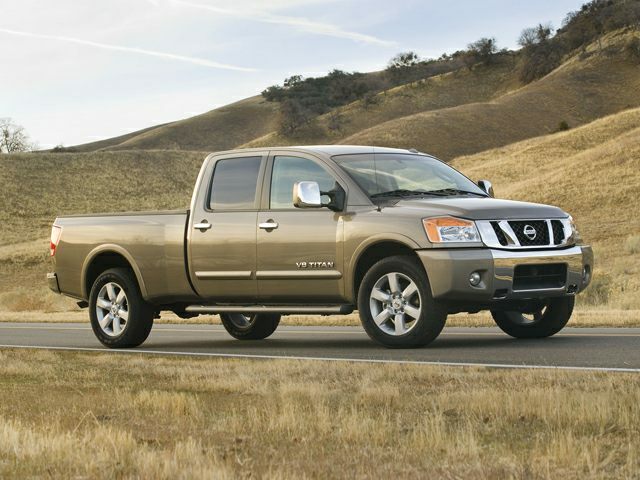 In 2008, the Nissan Titan saw interior and exterior refinements, technology enhancements, and the addition of long-wheelbase models and a new PRO-4X trim. For the 2008.5 midcycle, the Titan receives minor equipment updates and restructured option packages.